1997 - F1 (Williams Renault FW19), World Champion, 83 pts, 7 wins. 1998 - F1 (Williams-Mecachrome FW20), 5th, 21 pts. 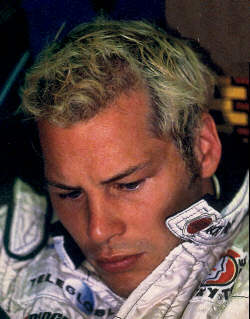 1999 - F1 (BAR-Supertec 01), 0 pts. Racing Toyota): 4th in one-off race at Montreal. Gold Coast 600 (Rod Nash Racing Ford Falcon FG): 22nd & 5th, with P.Dumbrell. 2014 � Indy 500 (Schmidt Peterson Motorsports Dallara-Honda): 14th, 2h40m56.4075.